Former Fianna Fáil TD Mattie McGrath will contest the forthcoming general election as an independent candidate in Tipperary South. 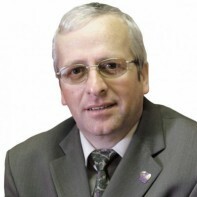 The Newcastle man was first elected to South Tipperary County Council in 1999, serving as a councillor until his election to Dáil Eireann as a first-time candidate in 2007. In June 2010, McGrath announced that the Fianna Fáil-Green coalition could no longer rely on his support and, in January 2011, he declated that he would be running as an independent in the general election. McGrath competed in the All-Ireland set dancing competition in 1974.